Mary or Catherine or any of our volunteers are happy to help you. 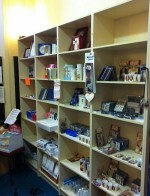 Sales of religious items and books and cards for all occasions. Input for Newsletter and any general queries re parish matters. 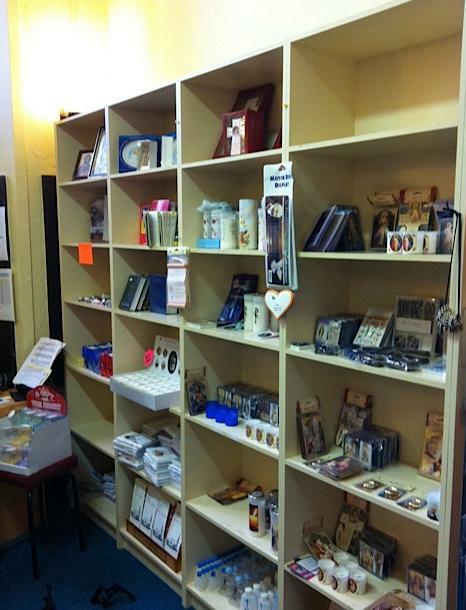 In the Parish Office we have a shop where you may purchase religious items e.g. Rosaries, Devotional Candles, Christening Candles, Wedding Candles, Holy Water Fonts, Medals etc. We stock some Missals, Bibles and some lovely small religious books. We can order religious books you may require that we do not have in stock. We also have for sale slate gift items which are made of the original slate from the church roof.